Date: 23rd - 25th October, 2009. 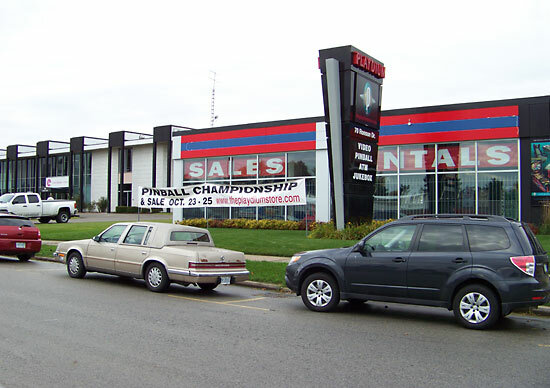 Location: The Playdium Store, 70 Ronson Drive, Toronto, Canada. 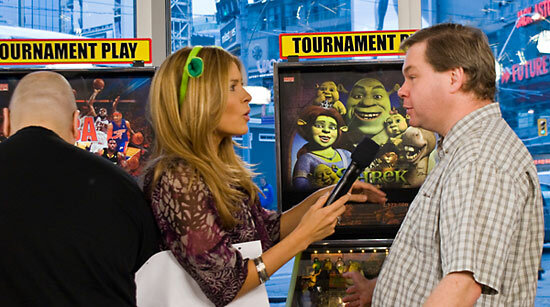 The second Canadian Pinball Championship took place over 3 days and was played on 19 brand new pinball machines, which included Batman, Dale Jr., Shrek and NBA. As last year, it was held at The Playdium Store in Toronto and once again The Playdium Store also sponsored the event. The first 2 days included qualifying where 127 players competed for play-off positioning as well as top qualifying cash prizes and various division prizes. Registration for the tournament was $25, which gave you 4 games - 1 on each machine. You could also buy additional entries at a price of $10, which gave you 3 additional games to try and improve your qualifying position. 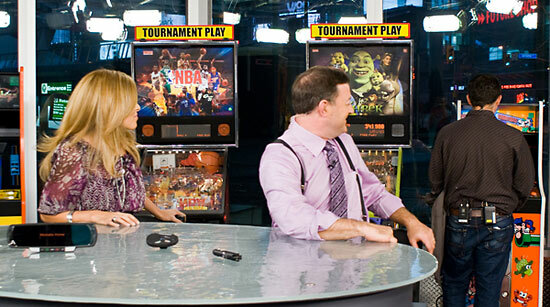 The Championship and the Toronto Pinball League were featured on the local Toronto breakfast show where the presenters interviewed some of the players and featured two recent Stern machines - NBA and Shrek. Apart from the main Championship division, other divisions in this year’s tournament included the Masters (over the age of 50), Ladies, Juniors (under the age of 18) and Varsity (those enrolled in a college or university). Bob Matthews of Thousand Oaks, CA won the Masters Competition, with Victor Fujimoto in second place and Brad Kearns in third. Bonnie Bedford of Vancouver, BC won the Ladies Division, beating Marylin Turner into second place with Karen Eder taking third place. In the Varsity Division it was Robert Gagno, 21, a student at Douglas College in New Westminster, BC who took the honours. There was also a kid’s pinball tournament held across the event weekend, which involved 25 kids under the age of 15 competing for trophies and the grand prize of a Reactor Game Chair (retail value $290). 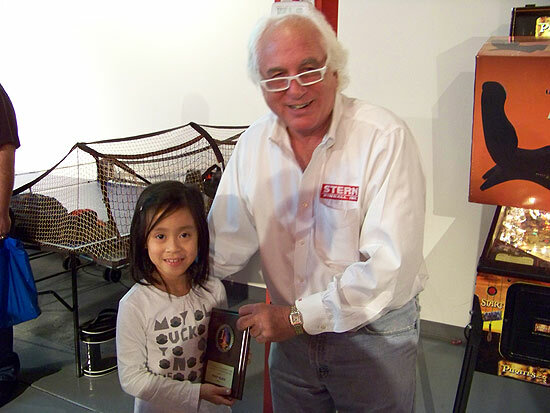 Victoria Truong, age 7 of Toronto won top prize with a score of 18,376,170 on the Pirates of the Caribbean pinball machine. 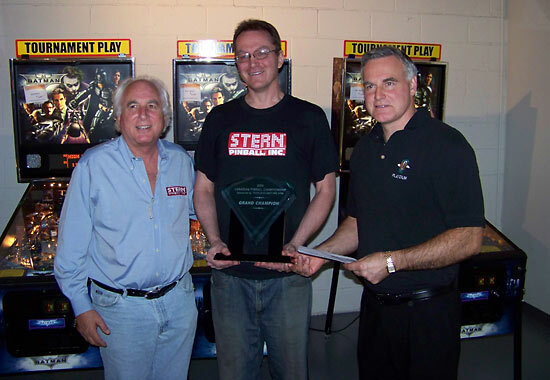 Gary Stern, president of Stern Pinball was at the event over the weekend and awarded the prizes. By the end of qualifying, it was IFPA World Champion Bowen Kerins who lead the field, ahead on Andy Rosa and Neil Shatz as they went into the final day's play. 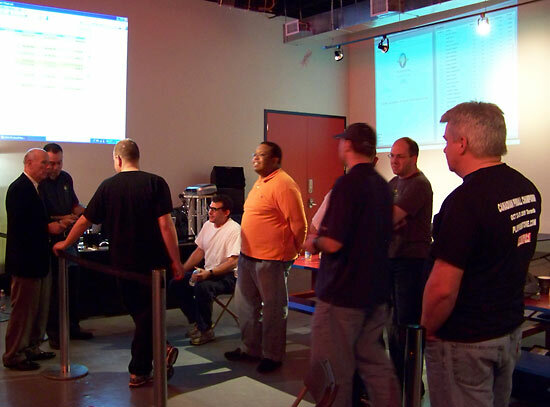 The playoffs for the Championship took place on Sunday Oct 25 with the best 2 of 3 pinball elimination matches. The higher seeded player chose the machine to be played, while the lower seeded player picked the order of play. The final round consisted of a best 3 out of 5 match on the Batman between local player Sean O'Neil from Newmarket, Ontario and Cayle George from Seattle. Sean O’Neil won the final by 3 games to 1 to claim the Championship and his prize package. 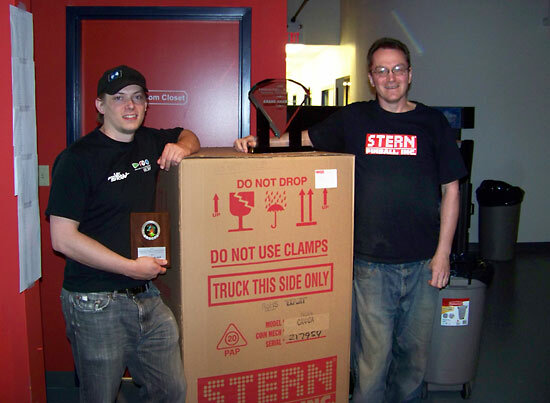 Sean took home the grand prize of a brand new NBA pinball machine, $1,000 and the title Canadian Pinball Champion. Cayle George was second, collecting $1,000 for his efforts. Paul Madison won third place in the play-off to take home $750, while Andy Rosa took fourth place and a prize of $250. 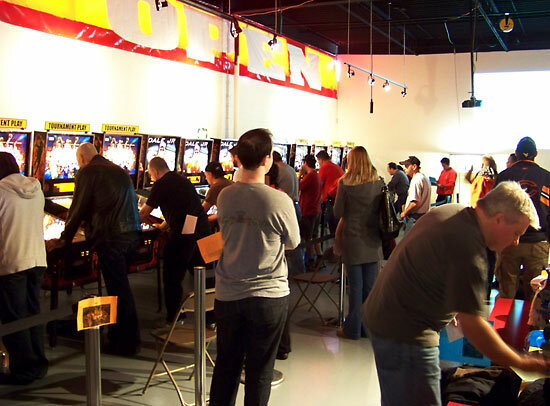 A total of 127 players competed in the Canadian Pinball Championship and $4,250 in cash prizes was awarded during the tournament. You can get the full results for all 127 Championship players along with all the other divisions at the Playdium Store website.